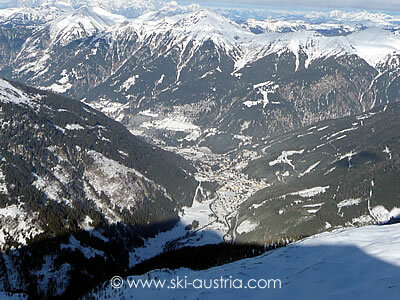 Sportgastein is the highest of all the Gastein valley ski areas, with the top statiion reaching nearly 2500m. 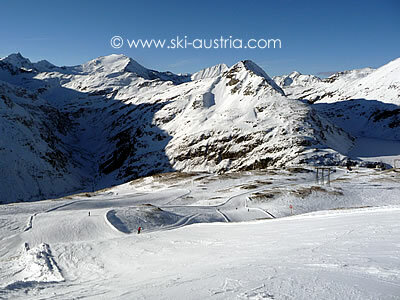 It is located at the end of the valley, while the small Graukogel area is on the opposite side of Bad Gastein to the main Stubnerkogel skiing. Sportgasteinis reached by travelling beyond Bad Gastein through the village of Böckstein and eventually onto a toll road (cars are free for those who already have a ski pass). With just under 1000m of vertical and situated at a decent altitude, the small area of Sportgastein should not be ignored by any visitors to the valley. 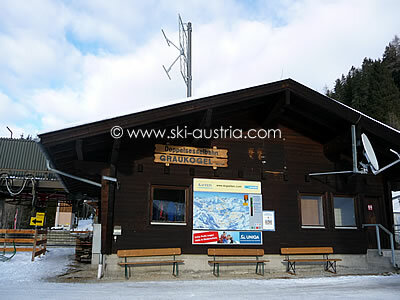 Access is via a two-stage gondola - the Goldbergbahn - and the only other lift in the area is the short Kreuzkogel T-bar on the left of the top part of the ski area. Views are stunning from the top station, especially down into the Grossarl valley. There is a choice of red or blue runs to the mid-station, while from the mid-station down the choice becomes red or black (the blacks being quite narrow and steep - possibly best avoided in crowded and/or icy conditions). The live webcam stream below is taken from the Kreuzkogel area - other Gastein valley webcams are available by clicking the middle button above the live stream. 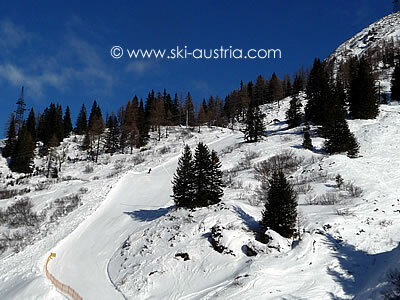 The Graukogel ski area is almost hidden away along the road to the Kötschach valley and on the "wrong" side of Bad Gastein. It can be reached by ski-bus or minibus taxi (or even - for those with an excess of energy - on foot). 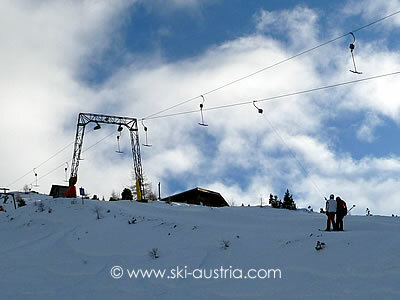 It consists of two chairlifts and a T-bar at the top. The main top to bottom route is a pleasant red run through the trees. There is also a blue to the lift of the top chairlift and, when conditions permit, a black run to the right which joins the chairlift junction at the Graukogelalm or allows the option of a black ski route heading into one of the red runs to the base of the area.